Will China's petro yuan dethrone America's petro dollar? Warning. I am not an expert on this subject. Fiat currencies gain legitimacy by perception. A currency must be perceived as valuable and reliable to be legitimate. For some time, the American dollar [usd] adhered to some quasi “gold standard”. The usd was backed by gold and owners could exchange usd for an equivalent amount of gold at anytime. America had the world’s largest gold holding at the time. The system was perceived as legitimate. That changed starting in 1971. The on-going military failure of the illegal Vietnam War, trade imbalances, and other factors rapidly drained America’s gold reserves. In 1971, president Nixon unilaterally got off the gold standard. America needed a new way to legitimize its currency. The national security adviser, Henry Kissinger, made a deal with Saudi Arabia. America provided military protection. In exchange, Saudi Arabia priced oil in usd. This artificially created demand for usd. All nations must get usd, which is used to buy oil. In essence, the usd was supported by oil instead of gold. This, a pillar of the American regme’s power, is called the petro dollar. It is an unlimited credit card. America can print money to pay for everything. All the usd currency holders are robbed via an imperceptible inflation when the money supply increases. For example, after money printing, a piece of bread that used to cost $1 may now cost $1.1 because there is more money chasing the same amount of goods. The petro dollar system is supported by the regime’s other pillar, the American military. Any nation that tried to leave the petro dollar system or create an alternative system was crushed by the regime’s military [see Iraq and Libya]. Now you understand why the petro yuan is an important event. If the petro yuan succeeds, even modestly, the demand for usd would drop correspondingly and thus its currency value would also drop. The drop of usd’s value would increase the cost of imported goods from major exporters such as China. Keep in mind that the American savings rate is an abysmal 5%. One rainy day can ruin their life. An eclipsed petro dollar system would be akin to a thunder storm. I am doubtful the petro dollar will be dethroned quickly [within months or years]. The biggest reasons are inertia, threats of violence, fear of the unknown, and media control. Despite the usd’s perpetual theft via money printing, it is held by giant institutional investors. It is used extensively in international trade. The American military can still impose its will by violence. The usd does provide relative stability. The petro yuan has no track record yet. Much [not all] of the western media projects the perception that America’s economy is healthy while downplaying its immense structural weaknesses. I should add that the petro yuan does seem to be positioned to dethrone the petro dollar eventually. This is a chart of the past world reserve currencies. 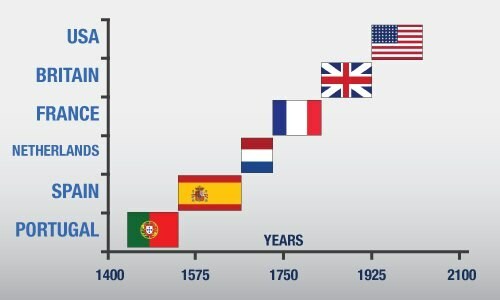 Each nation enjoyed world reserve currency status when it became a powerful empire that greatly influenced trade. 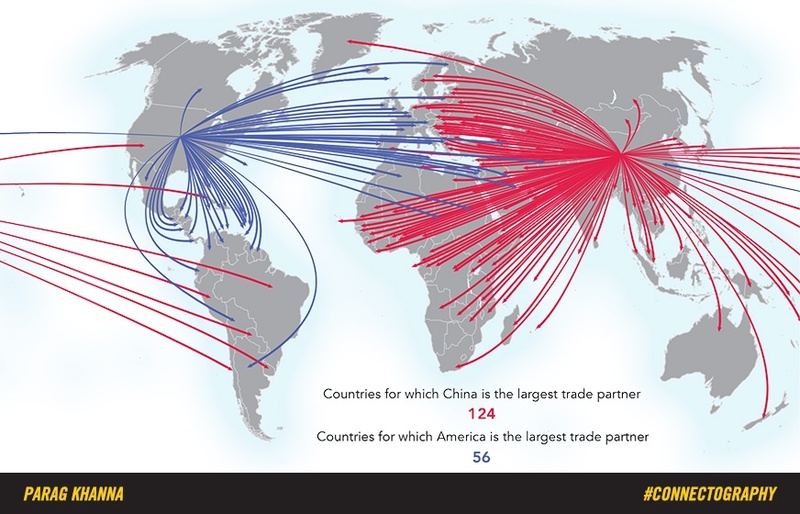 Today, the world’s biggest trading nation is China. Of course it will, and unfortunately our dollars will be worth less and less, so being a saver was not a good idea to begin with. At least, in this black is white, white is black reality in the west.